A furnace is more than just a heating system for your home during the cold months in Illinois—it’s a source of comfort for you and your family. Since that’s the case, you don’t want to wait until the last minute, or the dead of winter, to call your local heating professionals about overdue maintenance or repair services, when you really needed a replacement long ago. But how do you know that it’s time to upgrade your furnace to a newer model? Well, you ask the experts! At Ernst Heating & Cooling, we think August and September are the best months for a furnace replacement in the Hamel area—and we’ll explain why! Do you need to schedule a furnace replacement? Call us at ​618-887-6093 today! While you might be putting off a replacement because you don’t want to spend the time or money to upgrade, we wouldn’t recommend delaying the inevitable. With furnaces, there are some elements that can become safety risks if not attended to. For example, a cracked heat exchanger could lead to a carbon monoxide leak in your home, which could be very dangerous for you and your family. You have more time to research different furnace options to find the right unit for your home’s specific needs. Heating companies generally aren’t as busy and will be able to respond to your replacement service faster. Waiting until the outdoor temperatures are cold will only increase the risk of going without heat for a period of time. The risk of furnace malfunctions leading to dangerous gas leaks is greater in the winter. Since heating professionals may be looking for work during this period of time, you might also be able to save some additional money on your furnace replacement in August or September! 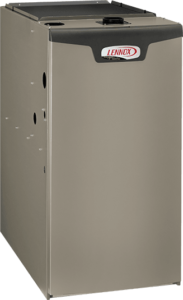 As a Lennox Premier Dealer™, we provide some of the most reliable, high quality, and efficient furnace models available. By replacing your furnace, you’re also setting yourself up to save money on your energy bills and increase your home’s overall energy efficiency! Our professionals can walk you through the process, explain the different options that are available, and answer any questions you may have. Contact us online today or call us at ​618-887-6093 to schedule a furnace replacement in the Hamel, IL area!